Tcm receives sport mode switch signal (on/off) from combination meter via can communication. Based on the signal, tcm transmits sport mode signal to ecm via can communication. Tcm receive sport mode switch signal (on/off) from combination meter via can communication. Tcm transmit sport mode signal to ecm via can communication according to the signal. Ecm transmit sport mode indicator signal to combination meter via can communication. 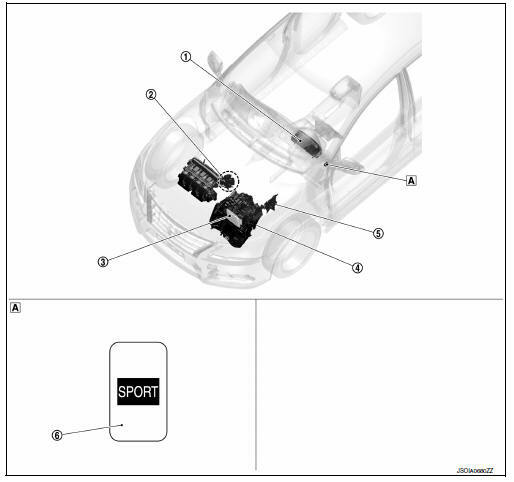 Combination meter illuminates sport mode indicator lamp according to the signal. For TCM control, refer to TM-104, "SPORT MODE CONTROL : System Description". For ecm control, refer to ec-53, "sport mode control : system description".